Gou, JA1QXY informs DX-World that his friend Jin, JF1IST will be active from OC-174 IOTA group during September 1-4, 2018. 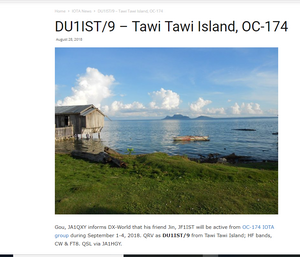 QRV as DU1IST/9 from Tawi Tawi Island; HF bands, CW & FT8. 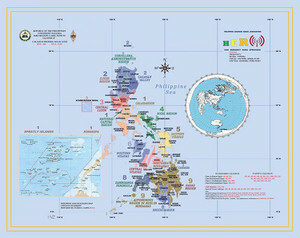 QSL via JA1HGY.